New Flashing Crosswalk Signs on 24th ! Students returning to Interlake High School on Tuesday were greeted by a new pedestrian -activated flashing light sign system on the crosswalk on 24th Avenue north of school. 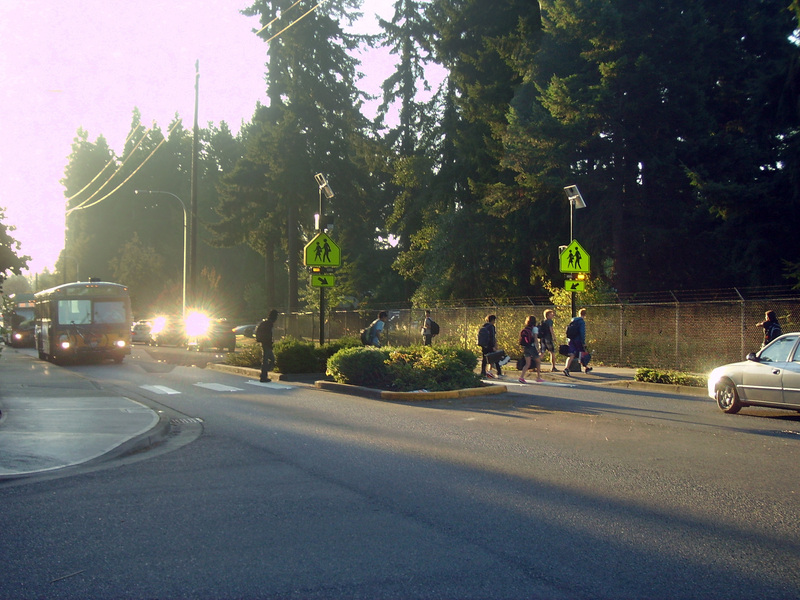 Due to the outstanding efforts of a dedicated Sherwood Forest Community Club team and the City of Bellevue, this new solar-based flashing light system will now greatly enhance the safety of pedestrians crossing 24th Avenue at all hours. Do you have ideas for Sherwood Forest improvements ? Are you interested in participating on one of the SFCC committees ? – If so, get involved – send an email to the SFCC Board at pelkie123@msn.com – Real change can happen as we can see above.